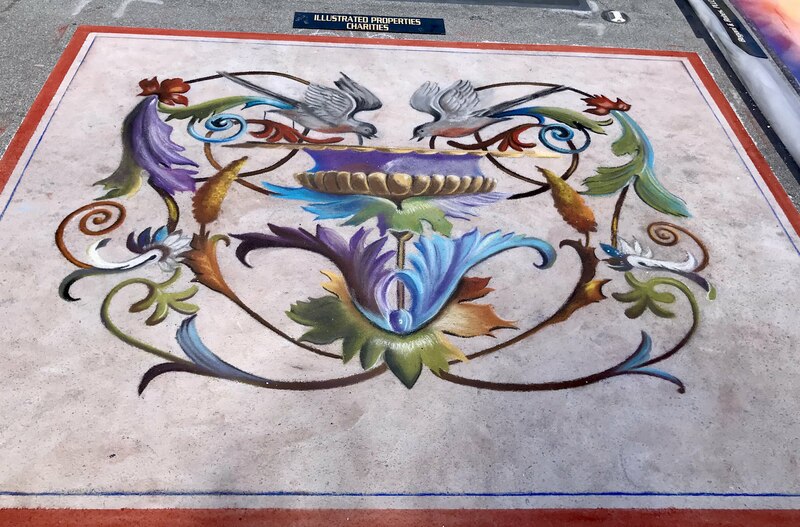 Last month my daughter and I did another street painting festival, this one being Lake Worth Street Painting Festival. The image we chose to do was a grotesque panel from Italian artist Carolina d’Ayala Valva. It’s a beautiful piece of art and we wanted to do something “old school”. I really enjoy these festivals. Although its alot of work for something temporary, its an opportunity to challenge myself and also play with different types of art. And chalk festivals are an interesting mix of art, from classical to original compositions to street art. There are very few venues in the art world that allow for such a diverse showing of art.